The straight back, well developed shoulders, sound appearance, and balanced proportions of this big male llama suggest a prized animal well suited to the rigors of the highlands. 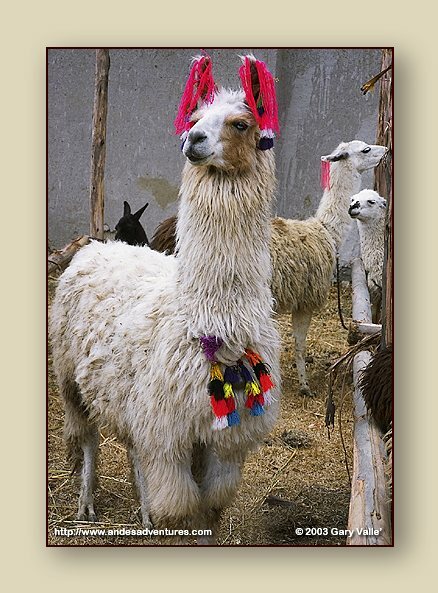 In Inca times white llamas were sacrificed in ceremonies of divination. This llama was being shown at a market and festival in Ccatcca, a village about 85 km from Cusco, that is on the way to Tinqui, and the start of the Ausangate circuit.